In stock -This product will ship today if ordered within the next 4 hours and 59 minutes. 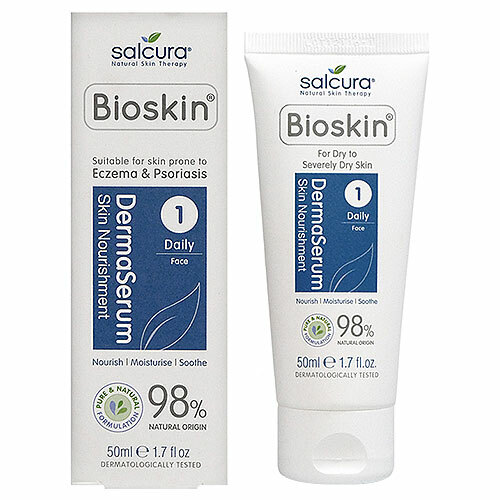 Below are reviews of Salcura Bioskin DermaSerum - 50ml by bodykind customers. If you have tried this product we'd love to hear what you think so please leave a review. It really seems to do what is says, i.e. 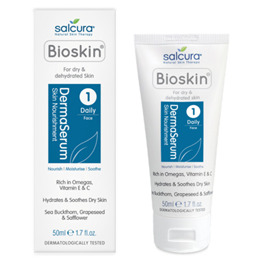 nourish new skin cells, and is an excellent, easily-absorbed moisturiser. Leaves my skin feeling smooth and calm.